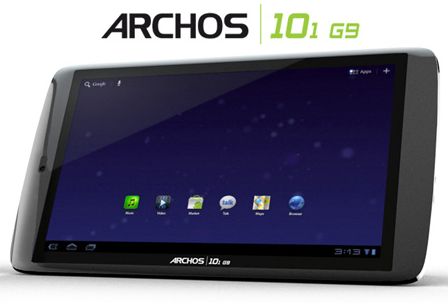 Archos announced two G9 series Android tablets, the Archos 80 G9 and the Archos 101 G9, both running Android 3.1 Honeycomb OS. The Archos 80 G9 has an 8-inch display with 1024×768 resolution and the Archos 101 G9 has a 10.1-inch display with 1280×800 resolution. The G9 tablets are powered by Texas Instrument’s OMAP 4 processor with ARM Cortex dual-core A9 running at 1.5GHz. Storage options are 16GB flash memory or 250GB hard drive. These G9s are capable of 720p HD video recording. They have WiFi 802.11b/g/n and Bluetooth connectivity, built-in GPS receiver and compass, built-in speaker, microSD/SDHC card slot and a HDMI output. 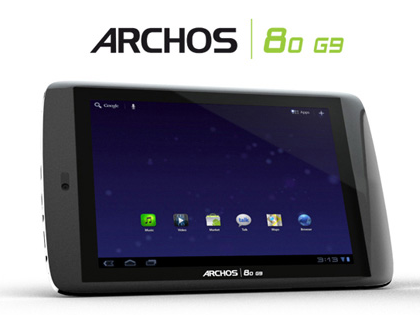 The Archos 80 G9 is priced at $279 and the Archos 101 G9 at $349. There’s no 3G model but Archos will release a 3G USB dongle priced at $49. The G9s are scheduled to arrive by end of September. when will this be coming to philippines?